Where's a good place to buy used games online? I live in a remote location and don't have any local dealers around. I am looking for PS3 and PC games. Where do you recommend? Amazon via 3rd party resellers? Ebay??? Or there's Direct2Drive for new games, and of course steam. 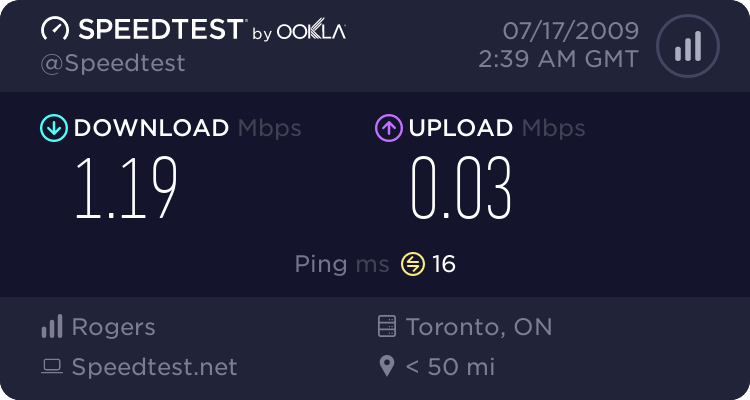 Totally unrelated to post, but jesus Il Duce, what kind of rogers plan are you on to get speeds that low? I have bought and sold used games through Craigslist with much success. I don't buy anything that requires Steam. FS now sells used games online too, here's a link to the used games section. But they are console games only. Ick. I'm continually disgusted by the prices USED games are sold for (I looked at the Future Shop link)...I'd love to pick up GH: Metallica, but $65 for a USED copy??? Really? I could get it for that price NEW locally...Even Best Buy is selling it new for $69. Mind you, it's not like it's any better at EB games. No wonder they can all turn a great profit in questionable economic times; sell new game for full retail, pay people $20 for used game once they're done with it, sell it for $5 less than original price. Repeat. Sickening. In rural areas your best bet is probably Steam, D2D, GOG, Impulse... as there are often great deals on digital games. Yup there is a reason publishers are trying to kill used game sales. Retailers make fantastic margins on used game sales. check out gameaccess.ca i used to get some things from them. Pretty decent and canadian. They sell both new a used games but for consoles only no pc. PC games your best bet is steam when the dollars are close.